For those with several sites, how are you managing your time? I have three money sites - two are established and a third is in the early stages of launch. The problem I’m having is that I'm bouncing around from one site to the next, without getting a whole lot done. Sometimes, I'm working on parts of all three sites on the same day. I was thinking, maybe I should spend one whole month on each site. For example, I could spend two weeks of the month on content creation and another two on link building, and a few days somewhere from technical maintenance, design, and social media updating. Does this sound like a good way to work, or is there a better way? I'd be interested to hear from anyone managing the growth of multiple sites, and how they manage and schedule their time. I just seem to be spinning my wheels by hopping from site-to-site, doing a little of everything. This is obviously a challenge. At the very least you need some kind of task management system and a calendar. I use Google Keep as rudimentary task management (a red/yellow/green note system with checkboxes for each project), then I use Google Calendar to plan out each task on Google Keep a week ahead. The benefit of this is that I can quickly add a "must do" maintenance task to the Red note. I then plan according to the number of red tasks to be done into the calendar. If I have time left, I schedule something from the yellow (need a time to do) with something from the green (ideas and long term things). I use the full Google Suite btw, Search Console, Analytics, Data Studio. I prefer it, because it (somewhat, actually a bit dissapoiting) integrates with the rest. I write in Docs, I keep track of content production etc in Sheets. What it means is everything is one click away, not having to open several folders and files in Dropbox or similar. I can follow the workflow from Keep (include a link) to Doc (writing the article) before updating in Sheets. You can even pull in Analytics data into sheets, to keep track of pagevisits for your new article. This kind of connectedness, makes me stay focused and get things done a lot better. Datastudio keeps me updated on traffic for each site, landing pages etc. I have individual dashboards where I can see at a glance the development month/month, week/week in Goals and Pagevisits. I can also see individual site earnings. This keeps me up to speed on sites that are beginning to underperform or if something is up. Of course I have my daily ranktracking check. Updates are of course important, if you've got manual or semi-manual stuff that needs attention, like prices. I schedule this usually before I go to bed. I also update feeds and such then. Update prices once a week on Sundays. I am trying to schedule in Monthly larger scale checks for dead links, affiliate links, grossly outdate content etc. I recommend working in terms of days or half days on tasks, to not have to forget. This is also why I do the "red/yellow/green" thing, so I can schedule those longer blocks of "new value" and leave room for "must do to maintain" tasks. First off, Day 22 of the World's Most Dangerous Digital Marketing Guide has you covered. Trust me, that's going to start getting you into the mindset to stop "spinning your wheels". I feel your pain, as I've been there frequently! There are many others, and each has their own purpose. I'm not, by any means, recommending these. Just using them as examples. Agile, for example, is surrounded in significant amounts of "ceremony" and other stuff that marketers, frankly, should not have time for. Then there's Kanban. It's sort of a system of, where an opportunity opens up, fill in the gaps. 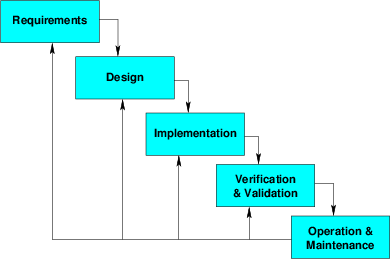 In my experience, people tend to fall into the trap of waterfall type workflows. Maybe in some cases they're needed. In the marketing game, I find that takes way too long. With the other 2 methods, here's a few examples of how you might simplify and modify that to fit your marketing needs. In one case, let's say you take a "micro cycle" like the Agile diagram above. Since you have 3 sites, let's just throw out an arbitrary number and decide we'll have micro cycles of 2 days. x3 sites = 6 days (well I'd be working 6 or 7 days a week, but that's me LOL). In that case, you're never going more than 4 days between focusing on a given site. You'd also have 2 full days to be able to focus on just 1 site, if you find focus to be an issue for you. Second case. Another micro cycle. This time, let's focus on trying to take something from start to finish in one cycle. That is one of the "define -> build -> release" cycles from the pic above. This could mean determining you need a content piece, KW research, drafting/outsourcing a post, editing and then publishing. Then move on to the next cycle. Third case. Kanban-style. Slam up some post-it notes on your wall (or whatever you prefer). Maybe try combining similar efforts into batches. Like maybe I decide to grab the 3 keyword research stickies and spend several hours in my keyword research tool and get them knocked out at once. BAM! Keyword research tasks done. Again, if you find focus to be an issue for you, in this example you'd at least be focusing one one type of work for a period of time. For Kanban-type workflows, I find apps like Trello to be pretty useful. Just put things in the appropriate bucket until you clear your board. Barry, the best thing I could recommend is to try out a simple workflow style (not the first 2 methods I mentioned, they're overkill), and/or find a simple workflow app. Organization and measuring your progress is key! I'm in the exact same boat. If you look at my post at the start of 2018 (https://www.buildersociety.com/threads/goals-for-2018.3526/#post-36222), I had laid out about 10 different business/sites/partnerships, etc. Some were starting from scratch (or in the very beginning stages) and some were already in progress. Good points made above by @bernard and @turbin3. I'm not going to add on to that but I will say you need to focus on completing one of them completely, get that on auto pilot then move on. What happens is you try and do a little for each one but never end up really completing the entire project the way you want to. So, you're always in a state of "almost there" but you never get there and by the time you know it, an entire year has passed. I'm not sure what niche your 2 established money sites are but for my money sites that are established, being successful also means that I have to actually perform the jobs that come in, which takes up a lot of time. So, this leaves me even less time to get things done. I'm finally letting go and looking to start outsourcing things that I can to help with take off some work load. This may be a good start for you. Hire a VA or find/train someone to do things like keyword research (I know a lot of people like to keep their niches secret) or social media updating. They don't actually have to have access to your accounts but can write the text/format for all the different social media outlets, get/resize pictures, etc. Good luck to you. Please let us know what you try and what works/doesn't work.